Recent research from the National Gardens Scheme has shown that people are happier and more creative when they have visited an attractive garden. You might not have the time, space or inclination to spend your lives gardening at home, but that doesn't mean you can't enjoy the work of others! Even if you can't make it to our pick of the best August gardens, we do hope you will enjoy our virtual tour. Home to internationally-renowned garden designer and plantswoman, Arabella Lennox-Boyd, Gresgarth Hall is a very special place to visit indeed. Built into a Lancashire hillside are architecturally-beautiful York stone terraces that lead down to a lake brimming with water-lilies. Each year, Arabella creates a different colour-themed planter display on the terraces that look marvellous in August. 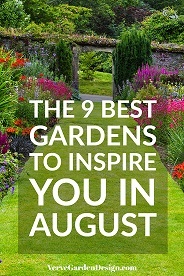 The absolute August highlights here though are the amazing herbaceous borders. Huge in scale and incredibly varied in texture, colour and form, they are among the best of their kind. The long, double border, although traditional in form, is modern in planting style. The vibrant colours of Crocosmia are tempered by the mid and pale tones of an impressive collection of Phlox. Don't be afraid to balance hot colours with cooler and contrasting shades. Salvia, Helenium, Echinacea, Achillea, Sedum and Coreopsis at Brightwater Garden. Image: Lorraine Young/Verve Garden Design. Surrounding a much more modest little cottage than Gresgarth, Chris Neave and Jonathan Cartwright have virtually hand-built their inspiring Lincolnshire garden since 2000. With no formal training, but an incredible amount of passion and hard graft, they have created acres of garden rooms and zones from farmland owned by the Neave family for generations. No doubt we will revisit this garden several times on the blog for other seasonal highlights (see "The Best English Gardens For Meadow-Style Planting"), but the prairie borders are the August stars. The sandy Lincolnshire soil and sunny flat open land is ideal for showcasing their own mix of Mediterranean and North American plants in August. A sinuous grass path takes you slowly through the borders and immerses you in the tall flowers. Echinacea and Sedum combination at Brightwater Garden. 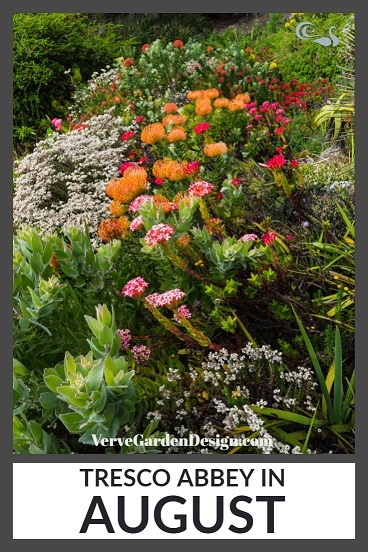 Image: Lorraine Young/Verve Garden Design. These plants need a sunny spot and a more open space to thrive. Island beds are ideal. To be honest there is simply not a month of the year that Great Dixter would not be in a "Very Best Gardens To Visit" list. Dixter is a part 15th Century, part Edward Lutyens house. The current garden was irreverently modified from the Lutyens era by the late, modern planting pioneer, Christopher Lloyd. In his later years, Lloyd struck up a wonderful collaborative partnership with young horticulturalist, Fergus Garrett (now Garden Custodian). Together they transformed English garden planting from the Jekyll era of painterly harmony to one of irreverent experimentation, throwing the rule books well and truly out of the window. What looks good in August? Well that changes all the time. Go and see for yourself what colour, texture and height combinations you might like to take home - Dixter is an ideas paradise. Don't be afraid to try new things in your garden- you might just love them! Late Summer Colour in The Garden House Walled Garden. Image: Chris Denning/Verve Garden Design. My No.1 favourite garden in the South West. 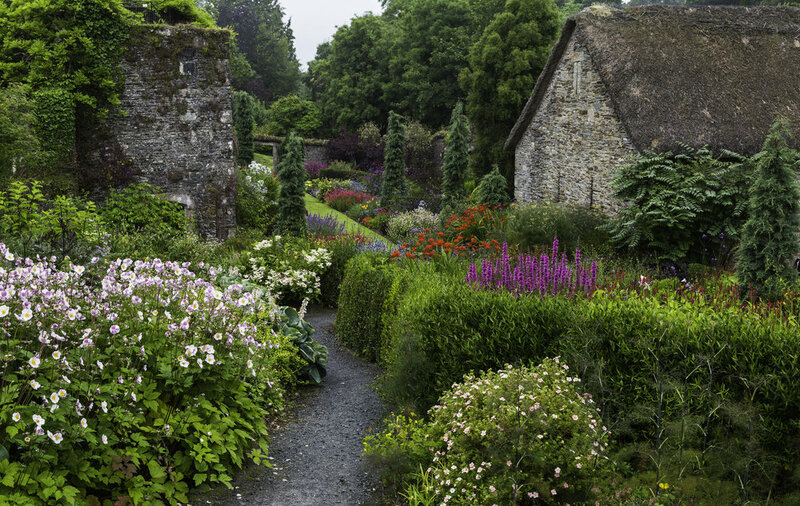 The Garden House in Devon is a Georgian vicarage set in a fertile valley. Lionel Fortescue and his wife Katherine spent their retirement creating the decorative garden from the 10 aces of land they bought in 1945. The former Eton teacher inherited an eye for colour from his artist father and a series of exemplary head gardeners have continued his developments to create a magical place. The whole garden is lovely in August, but the special highlights are the Walled Garden perennial borders and the less formal Summer Garden which intermingles grasses and flowers beautifully. Masterful combination of Cotinus coggygria 'Royal Purple' and Filipendula rubra 'Venusta' at The Garden House. Image: Lorraine Young/Verve Garden Design. Ordinarily-clashing colours look amazing when the angle of the sun lower and the light starts to soften in August. Be brave but use them sparingly. Plants can be mixed to create a range of formal and informal styles. "Kew Without The Glass". Tresco Abbey Garden, Tresco. 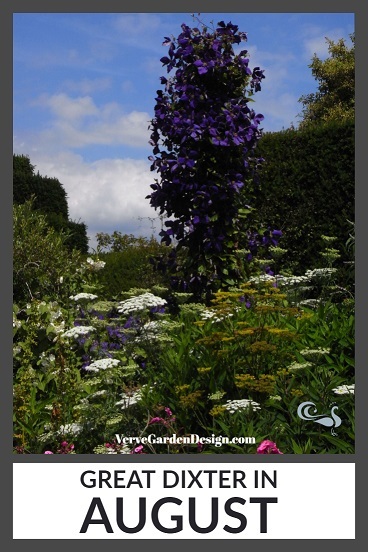 Image: Chris Denning/Verve Garden Design. In the frost-free, Gulf Stream-warmed Isles of Scilly, Tresco Abbey Garden comes as a real surprise. When Victorian plant collector Augustus Smith leased Tresco from the Duchy of Cornwall he and subsequent family generations founded a unique subtropical garden on a tiny island. Tresco Abbey houses a vast collection of plants from South Africa, Australia, South America and across the Mediterranean. August treats include the Livingstone Daisies (Mesembryanthemum), towering blue spikes of Echiums and unworldly forms of Protea and Gazania flowers. There is such a strong structure of architectural trees and beautifully-detailed hard landscaping here that it is a delight to spend time in even if the flowers are not your thing. There are plenty of seats for a picnic and many good places to eat on the Island. We love the Ruin Beach Cafe. Get a tropical feel by including leaves and flowers with architectural shapes. August Drama in the Rosemoor Hot Border. 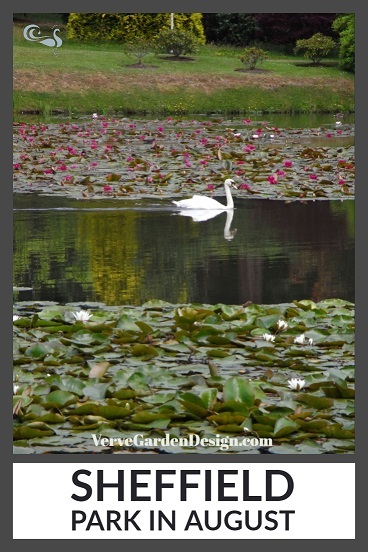 Image: Lorraine Young/Verve Garden Design. The Hot Garden at Rosemoor in Devon certainly lives up to ts name. It is a visual extravaganza in August that will stop you in your tracks. Although mostly prairie plants have been used they have been planted in large blocks for maximum impact, rather than intermingled as they would be in their natural environment. I love that the sunken garden design lets you experience the planting from both above and within. The long borders look fabulous now too. With 150 metres of varied planting to explore, you are sure to find a combination that you could take home. As much as the Hot Garden and Long Borders are spectacular, perhaps my favourite parts are the more intimate and unassuming Cottage Garden and the Bog Garden. In August most of the wildflowers have gone from the meadow but walking through the billowing grasses to the Fruit and Vegetable Garden is still a lovely journey (or picnic spot). You need a full day. Ligularia 'The Rocket' and Astilbe in the RHS Rosemoor Bog Garden in August. Image: Lorraine Young/Verve Garden Design. 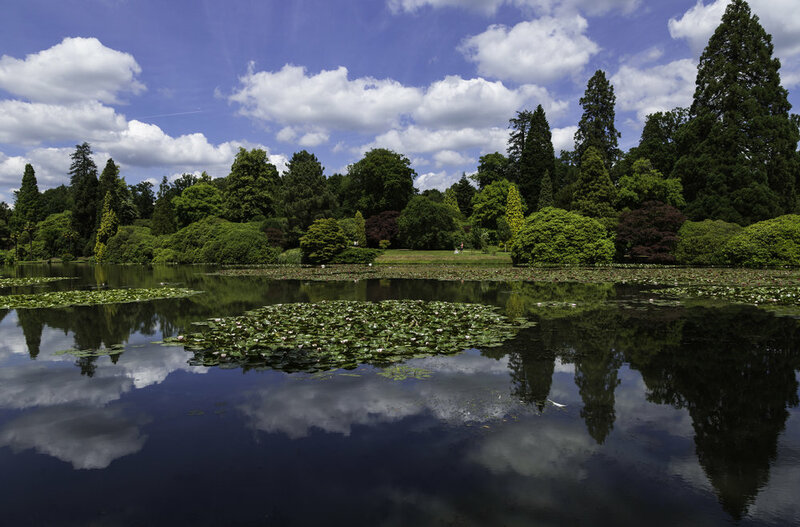 Stunning Collection of Trees and Waterlilies at NT Sheffield Park in August. Image Chris Denning/Verve Garden Design. If all of these flowers are overloading your senses, then you might want to enjoy the beauty of trees. Sheffield Park and Garden is a large landscape garden in East Sussex owned by the National Trust. With influences from the two top Landscape designers in the UK, Lancelot "Capabilty" Brown and Humphrey Repton, it is a sight to behold. Several tree-lined lakes are lovely to walk around and the water-lilies in August are fabulous. The collection of huge mature trees is magnificent and adds to the scale of the estate. It is difficult to do a place like this justice in photographs but you will not be disappointed! We like that dogs are welcome after 1.30 so there are no worries about what to do with them on hot days. Pickle, our Border Terrier approves. Swan reflection amongst the waterlilies at NT Sheffield Park Garden. Image: Lorraine Young/Verve Garden Design. Gold dominating the NT Sissinghurst Castle South Cottage Garden in August. Image: Chris Denning/Verve Garden Design. 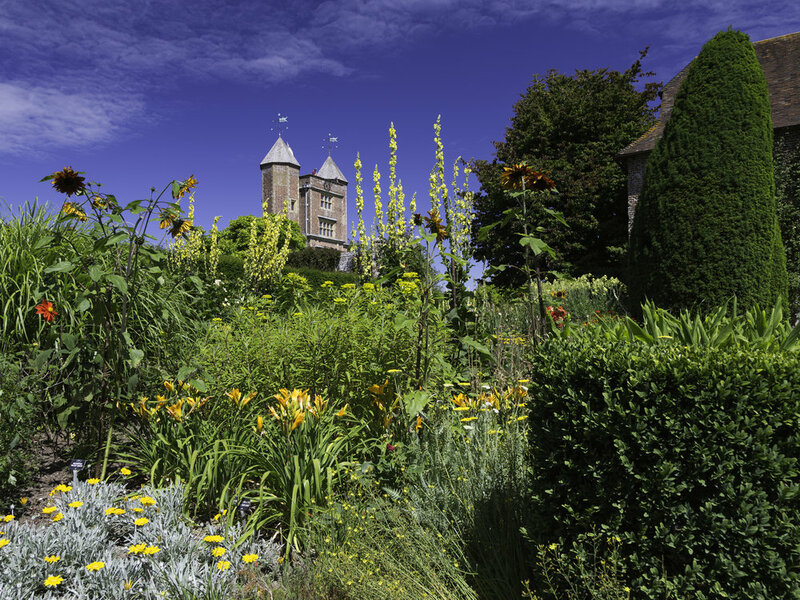 In August the exuberant South Cottage Garden takes centre stage with it's gold and ember-red colour palette. It is not as fiery and bright as some of the other hot-coloured gardens featured here, but the buttery mellowness suits the old brick buildings. The White Garden and orchard meadow are other August treats. The White Garden at NT Sissinghurst Castle in August. Image: Chris Denning/Verve Garden Design. Remember that your garden is about you, not what others think of it. Spend your time on reflecting your personality in it and you will enjoy it all the more (and see "How To Choose Your Modern Garden Style". Tritons blowing water through shells at The Atlas Fountain, Castle Howard. 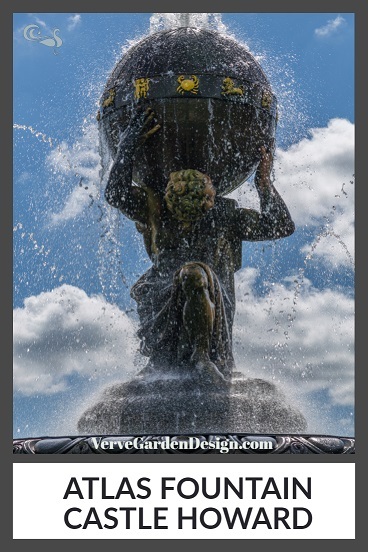 Image: Chris Denning/Verve Garden Design. Both the Romans and the designers of the Renaissance understood the importance of water for attracting our attention on a hot day. 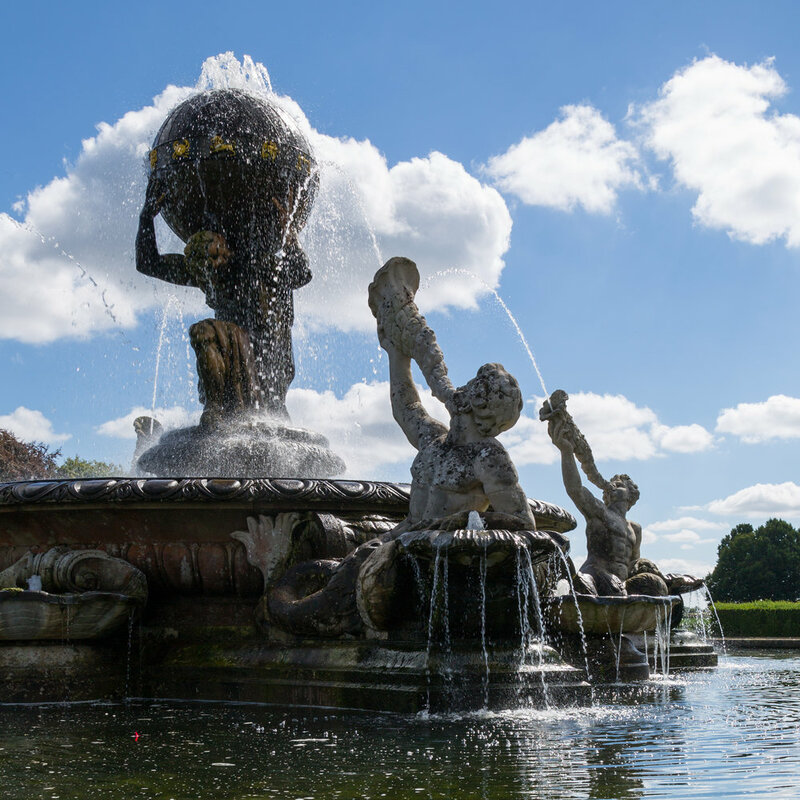 One of our favourite water features to sit by in the August sun is the Atlas fountain at Castle Howard in Yorkshire. The Atlas Fountain came to Castle Howard after it was showcased at The Great Exhibition in London in 1850. Atlas was the Titan in Greek mythology who was punished for rebelling against Zeus by eternally holding up the sky. Made of Portland Stone and transported to Yorkshire by train, the huge figure in the fountain holds a heavy bronze globe on his shoulder. Water spouts upwards, blown though shells by four Tritons (messengers of the sea), and also cascades down into the large round raised pool through scallop shells. Kids love it and I could watch it all day. When you are ready to move on, head over to the South Lake and enjoy the spectacular 40 foot jet of the Prince of Wales Fountain (currently weekends only but please check). There are stunning flower and ornamental gardens at Castle Howard that we will showcase another time, but since I recently wrote that garden design isn't all about plants, I thought I should practice what I preach! Atlas holding up the bronze sky. The Atlas Fountain, Castle Howard. Image: Chris Denning/Verve Garden Design. Water, whether large or small, grand or simple, is a wonderful addition to any garden. Find out more from "Which Garden Water Feature Should You Choose? Where would you recommend in August? Share with our readers in the Comments Below!